T he Bank of Industry and the government of Ebonyi State on Friday, 23rd of June, 2017 agreed to set up a N2bn fund for the development of the Micro, Small and Medium Enterprises in the state. 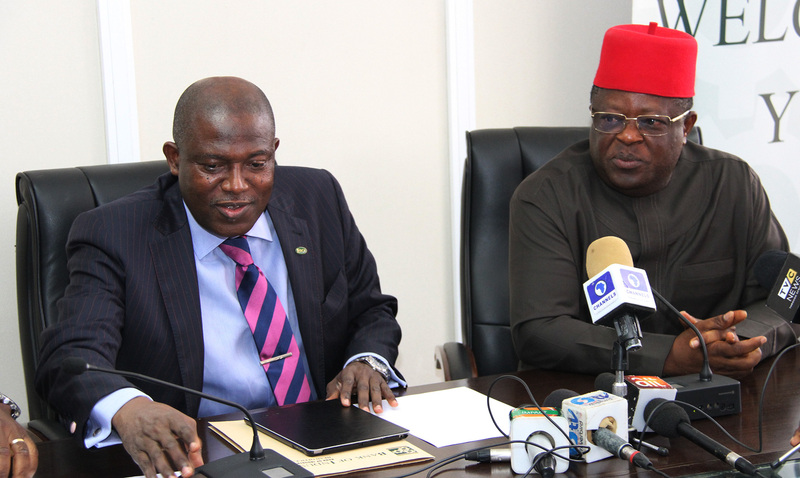 The agreement for the N2bn fund was finalised by the Managing Director of the BoI, Mr. Kayode Pitan, and the Governor of Ebonyi State, Mr. David Umahi. Under the financing pact, the state government would be required to provide N1bn, which would be matched in like sum by the bank for lending to entrepreneurs in the state, it was learnt. Speaking during the meeting, Umahi said the funds would be deployed at a single digit interest rate to the MSMEs in the state operating in the solid mineral sector. He said the need to enter into the pact was born out of the conviction that the MSMEs would play a major role in economic development of any country. The governor said since the MSMEs were the engine of growth in an economy, any fund attracted to the sector would promote industrialisation and job creation. He said, “We are looking for empowerment and some will go into poultry, rice production, cassava production, maize production and small manufacturing. The BoI boss said the bank would work with the state government in providing the needed capacity building for the MSMEs so that they could effectively utilise the fund.